Jay-Z’s new album quickly became platinum. It’s possible that he was recived this honor a little bit dishonestly. 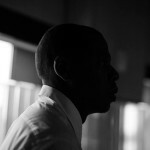 Jay-Z is undoubtedly one of the most famous rapper in the world. The musician has fans all over the world and good selling of his new album is not suprise for nobody. It’s possible that Jay-Z wanted to speed up his succes and a little cheated to realize his plan. How? The album “4:44” in the USA was available for free download at 444.tidal.com. Only in USA people downloaded this album over 1 mln times for free! Interestingly the musician received platinum not for sale, but the number of downloads! Is this a fair solution? It is possible that in the era of electronic data exchange so …. One thing is certain – the new album is a great music success and at the same time its 17 platinum!